Rooting your new plant cutting in water is a very effective method. Depending on your choice of container it can also be interesting to watch the roots develop. 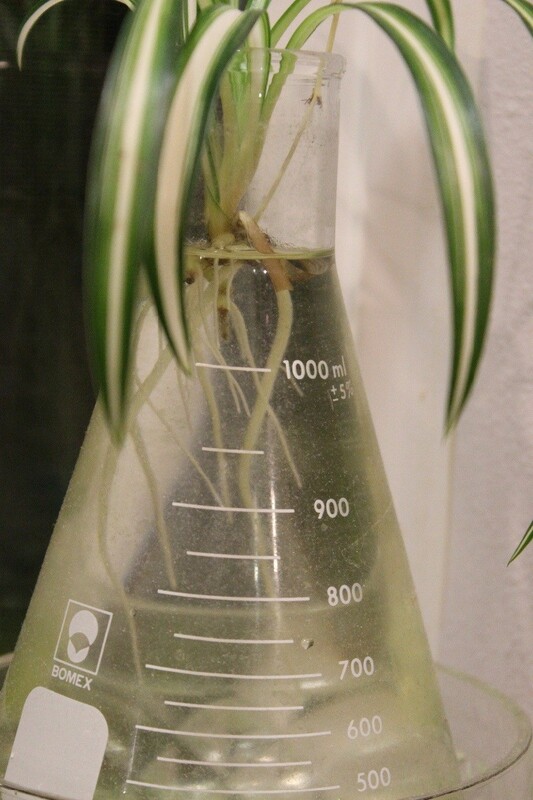 This is a guide about rooting plants in water. 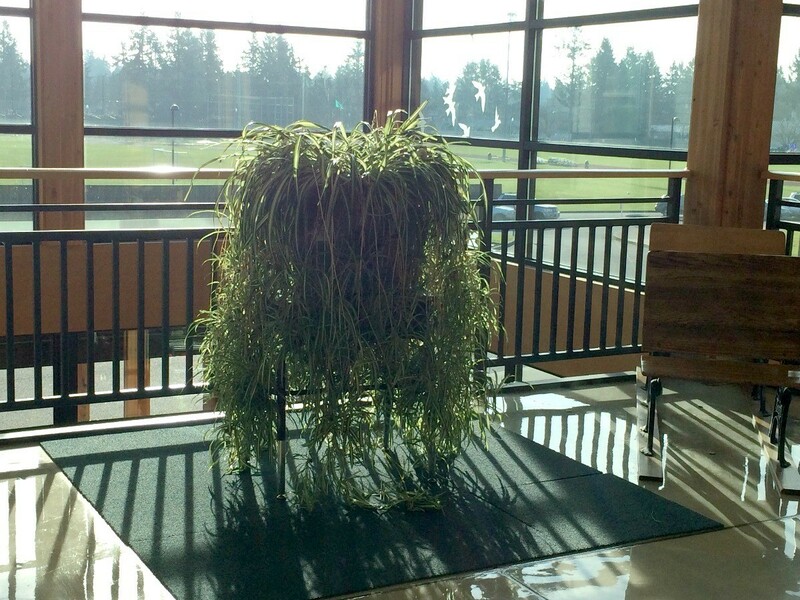 There is a very large spider plant at my kids' school. 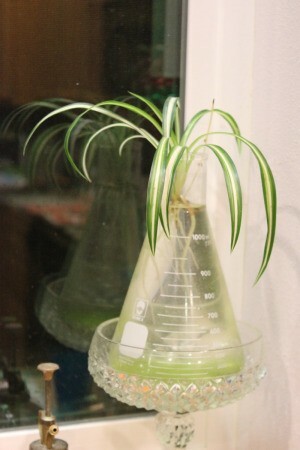 One day when I was there I was able to collect a small baby plant from it. Rooting in water is one of the best ways to start a plant. 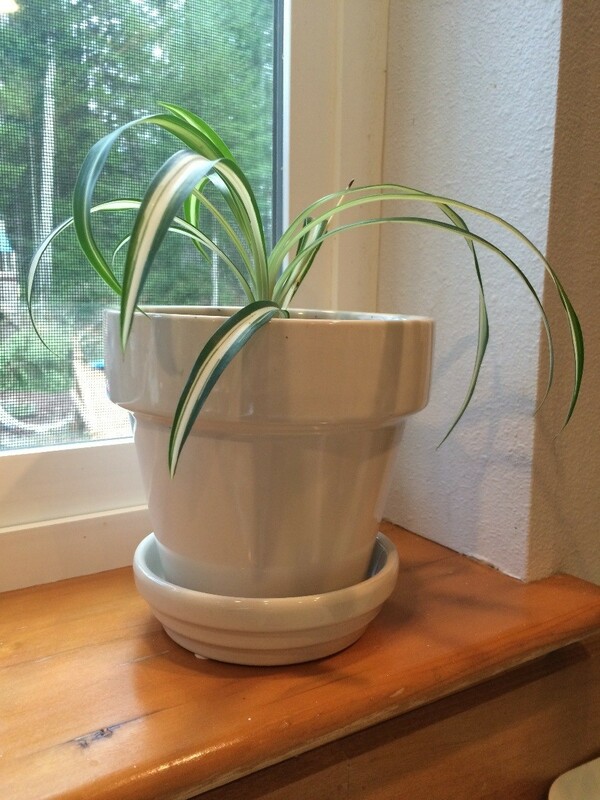 Just take a few snips from a plant that you love, being sure to include a growth node or two. Strip off any leaves that will be beneath the level of water in the glass, then place the stem end into water in a clear glass container. Stand it in a sunny window, and within a week or so, you'll see the roots beginning to grow. From the time that I was little, there was nearly always a cutting from a plant sitting in a glass in a sunny window in my grandmother's kitchen. I continue the tradition when I can, but my own tastes run to using the glasses and jars that I find in my shopping travels. Beautiful glasses are so very inexpensive, and lend themselves to creating lovely things. I seldom can pass up an unusual piece of crystal. The shape of this glass is unique, but the garden idea can be used with any wide mouthed bowl glass, or even a large brandy snifter. The peace and serenity of an Oriental garden are equal parts color, living plants, and the natural stone. Even the structures that are placed in the garden are in keeping with nature, sandstone or natural wood, in lines that harmonize with the graceful shapes of garden plants. The materials used for the cuttings planter are simple to find and easy to assemble. Wash and rinse glass well. Dump river rocks or aquarium gravel in a sieve or colander and wash well under running water. Fill glass with rocks to just below the rim of the glass. If using a brandy snifter, fill to just below where the glass begins to bell inward. Strip any leaves on bottom 2-3 inches of cuttings. 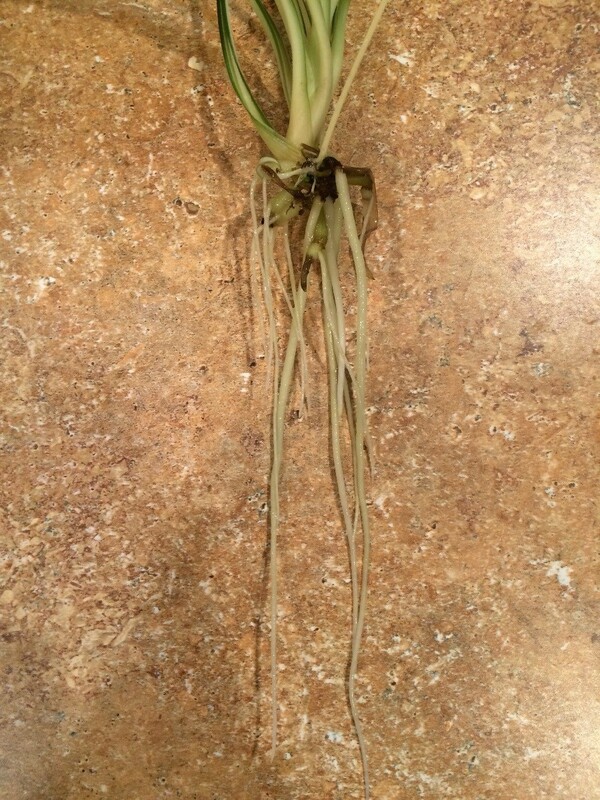 If desired, dip ends of stems in purchased rooting mix. Carefully insert the ends of the stems into the rocks, nudging stones aside with fingertip if necessary. Arrange benches, pagodas or other decorations on surface of rocks. Fill glass with water to just below the level of the rocks. Tap water works just fine. Distilled water is "dead" water; while it's pure and free of any contaminants, it also has no nutrients in it. 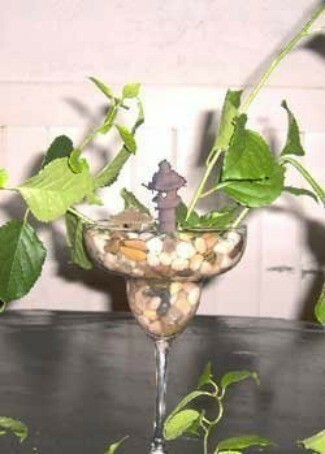 If desired, you can mix rooting mixture according to package directions and substitute for the water. Simply top up the water any time that the surface of the rocks is dry.